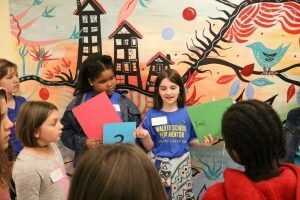 Trained peer mentors at Walker School lead current fourth graders on an informational tour of the school. Walker School was excited to host more than 400 fourth grade students for tours and planned activities to help them learn about their future school. 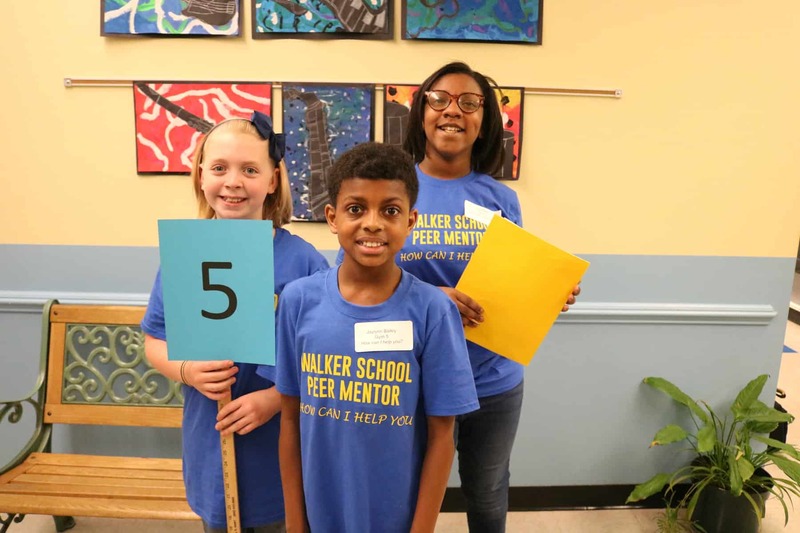 More than 60 current fifth grade peer mentors were on hand to answer questions, facilitate team building exercises, and most importantly, put these future Walker Wolverines at ease about their upcoming transition. That evening, students were invited back with their families for an Open House, starting with a pizza dinner at 5:30pm in the cafeteria, presentations from 6:00-6:45 p.m. in the auditorium, and a scavenger hunt from 6:45-7:30 p.m. The Charlottesville City Schools division has six elementary schools (grades preK-4) that feed into Walker Upper Elementary School (grades 5-6). For more information about this and other programming planned by our wonderful Walker Upper Elementary School Counseling Team, please visit their blog at https://bit.ly/2qoLO72.